I am delighted to announce that thanks to your support, we have reached my initial target of £2,000 several days ahead of the deadline! I sent the first installment to Jean Dieunest last week, and it finally arrived in his bank account on Saturday so he could buy food and construction materials. Today (Sunday), his team has spent the afternoon distributing food kits to 35 families. 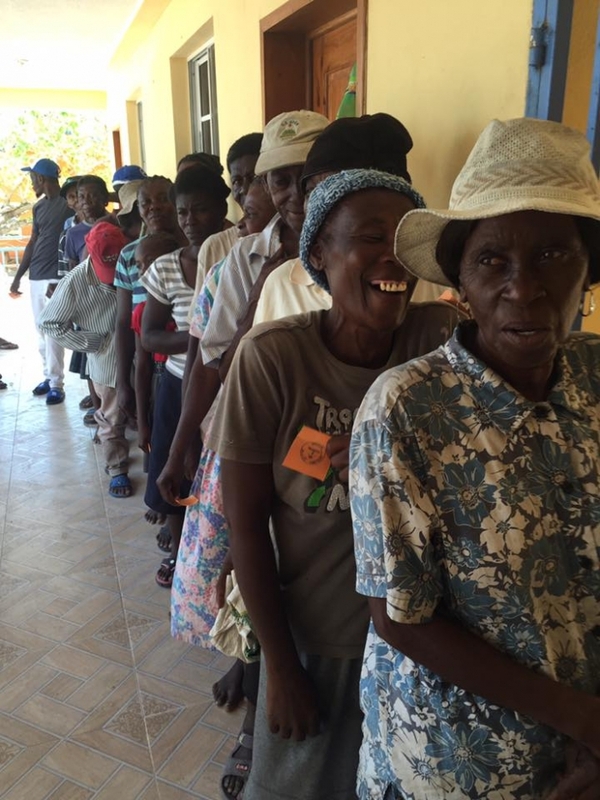 This support comes at a critical time for them, as most have lost their crops and livestock in the storm and are struggling to feed their families in the aftermath of Hurricane Matthew. 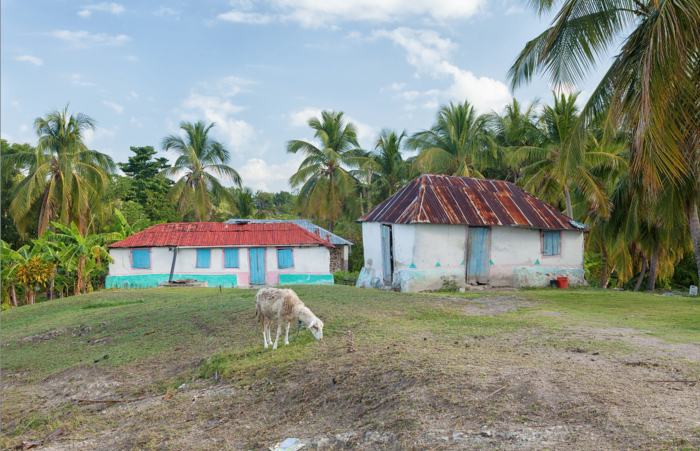 Since this campaign has been so successful, and the community of Ile à Vache still needs our help, I am extending the campaign and increasing our target to £3,000. Please continue to share, and THANK YOU!!! 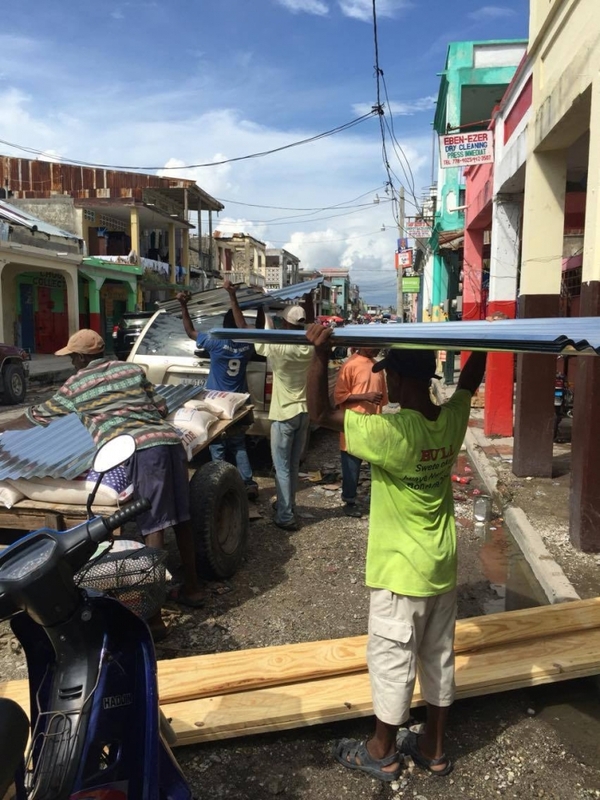 Hurricane Matthew, the worst storm to hit Haiti in more than 50 years, has struck a country still reeling from the effects of the devastating earthquake in January 2010. 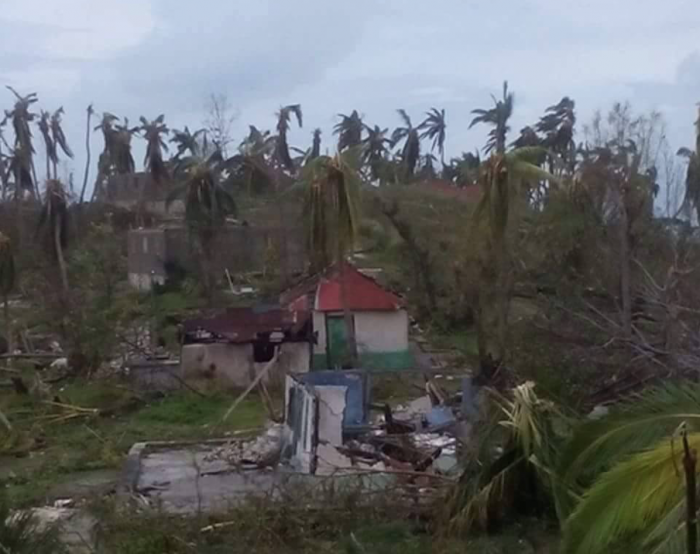 The small island of Ile à Vache, one of the most remote parts of the country, and with a population of around 20,000, has been among the worst affected. See here for photos of the island after the storm. While many across Haiti are suffering, this is a place that is near and dear to my heart. During the three years that I spent living in Haiti from 2011 to 2014, I went on countless trips to this island. I was fortunate to work on a masterplan for its long-term development, which aimed to strengthen its agricultural and tourism sectors. Today, these hopes have been dashed, but the community of Ile à Vache is incredibly close-knit and vibrant. With our help, they will be able to get throught this immediate crisis and begin the arduous task of rebuilding. 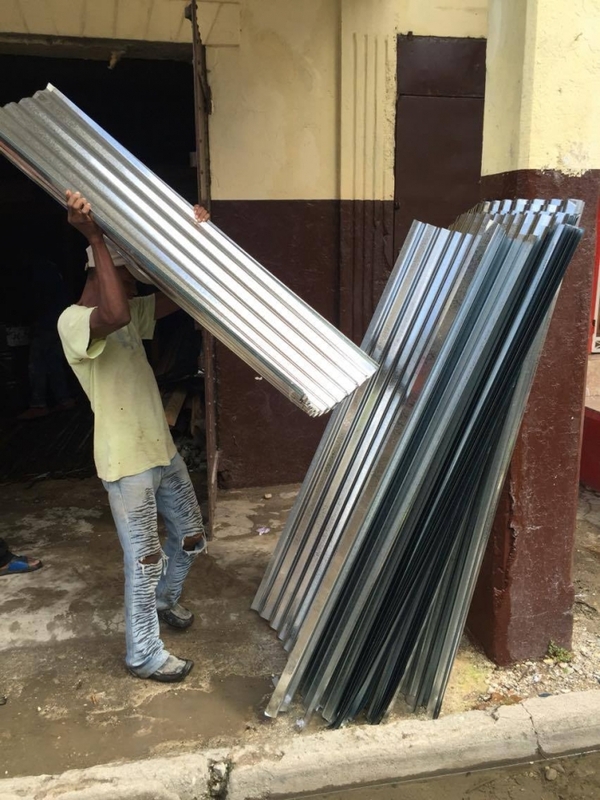 Many of us who worked in Haiti after the earthquake were deeply frustrated by how large NGOs were spending the funds that had been donated for the reconstruction. We learned through our on-the-ground experience that the most effective way to give is to support small local organisations that are community-run, or have very long-standing relationships in local communities. This isn't always easy, because those small groups are not as visible and do not have the administrative capacity to fundraise. This is why I have set up this campaign. Every penny donated will be sent to the local Centre Communautaire de Kaykok, who will ensure that villagers have food, clean water and tents, until long-term help arrives to enable sustainable reconstruction. Once we've reached our target, any funds still remaining will be donated to a fantastic local Irish-run organisation called Haven, which has been involved in Ile à Vache for many years and is in the early stages of planning reconstruction. 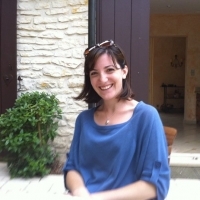 I have worked alongside both these groups in my time at Ile à Vache and have seen first-hand how effective they are. The Centre Communautaire de Kaykok is run by a bright and talented young man called Jean Dieunest Exere. 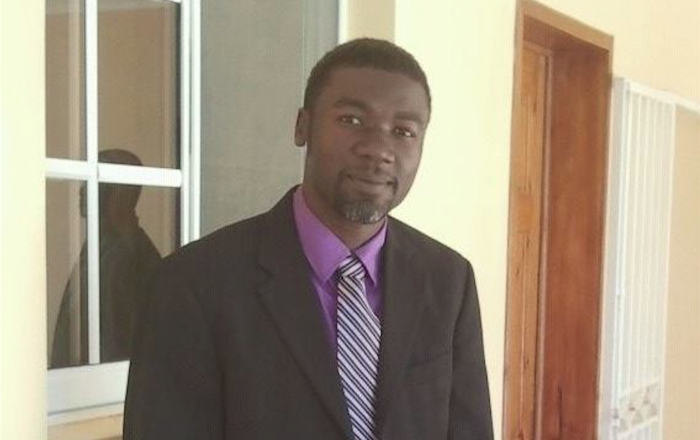 Jean grew up on the island, and after completing his studies, rather than remain in a bigger city where there were more job opportunities, he returned home to dedicate himself to local development. In his community centre, he currently is sheltering 90 people who have been left homeless by Hurricane Matthew. However, he reaches several hundred more in the village of Kaykok. Please give any amount, large or small, in pounds, dollars or euros. You can't imagine the difference this will make to families who have lost their homes and livelihoods and are just trying to keep their children safe and healthy. A generous donor has pledged to match the first £500. UPDATE: we have met this and the match donation has been made, bringing us up to just over £1,000. A further match donation of £250 has been pledged! UPDATE: this has been met and donated, bringing us up to over £1,500!!! This is so amazing, thank you everyone for your support! 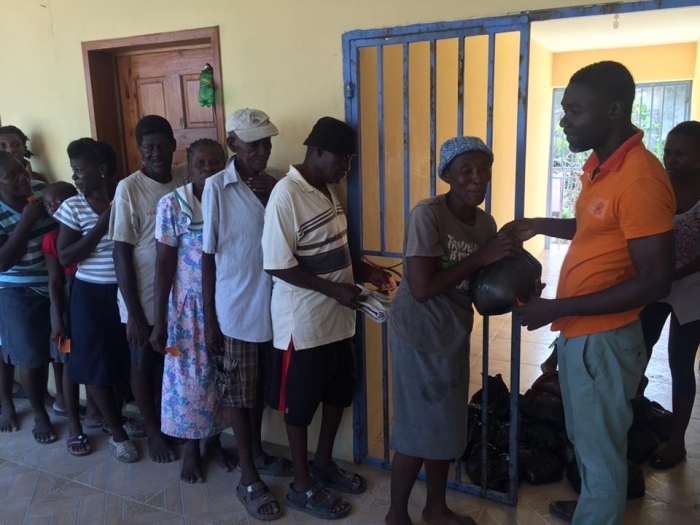 Please help support the villagers of Kaykok in Haiti's remote island of Ile à Vache made homeless by Hurricane Matthew. * £356 in offline donations included in total.